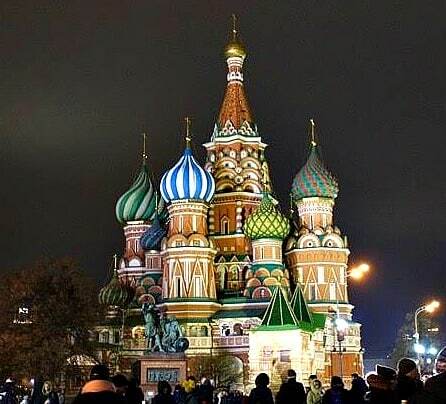 Where to stay in Moscow? As soon as I spotted the words ‘St Regis Hotel”, I knew exactly where I wanted to stay! A quick look at the location and it was an easy decision. The St Regis brand immediately conjures up an image of luxury, chic design and impeccable service. I have stayed in St Regis hotels before and they never disappoint. 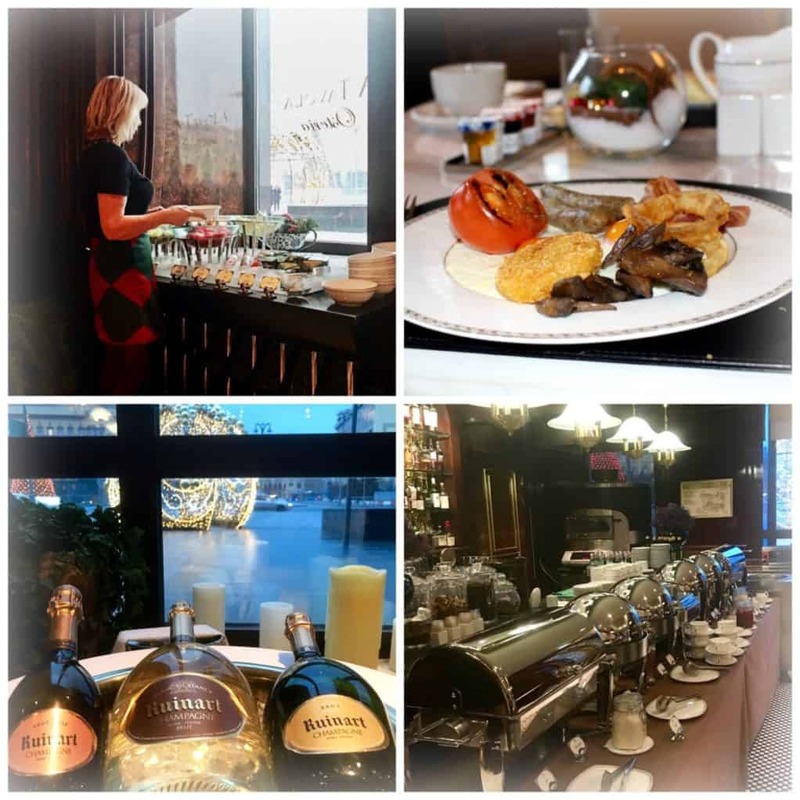 The St Regis Nikolskaya Hotel is a luxury hotel, set on Nikolskaya Street a few minutes walk from Red Square in the heart of Moscow City Centre. It is a joy to walk on this pedestrianised street, chic full of the most fabulous shops. Great restaurants and bars are within a few minutes walk, in every direction! Although the hotel itself has a lovely bar, enjoy drinks in the Lobby or on the Mezzanine level above. Russian Vodka and Vodka cocktails proved to be irresistible especially combined with some Russian delicacies. 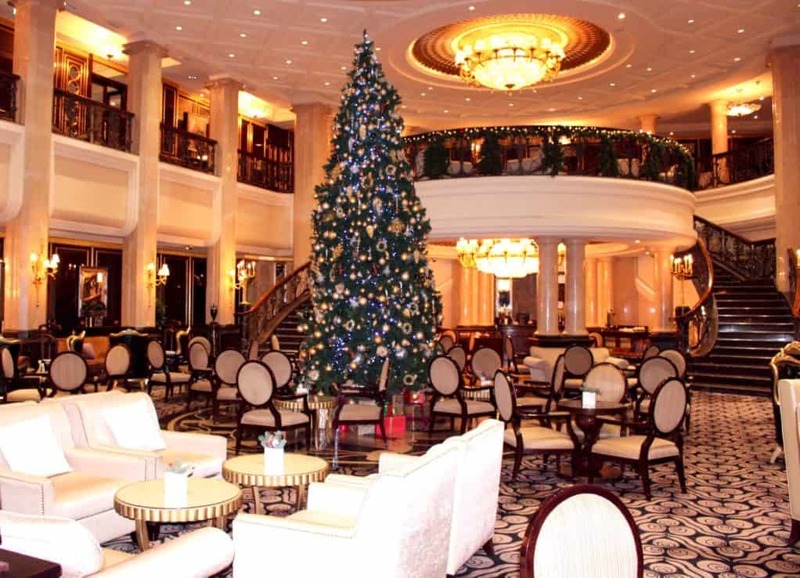 The Orlov Lobby bar and Lounge serve coffee and tea, pastries and a light a la carte menu. I wanted to visit Moscow in winter, envisioning snow lined streets and sleigh rides! It was actually quite mild and not much snow to be seen. 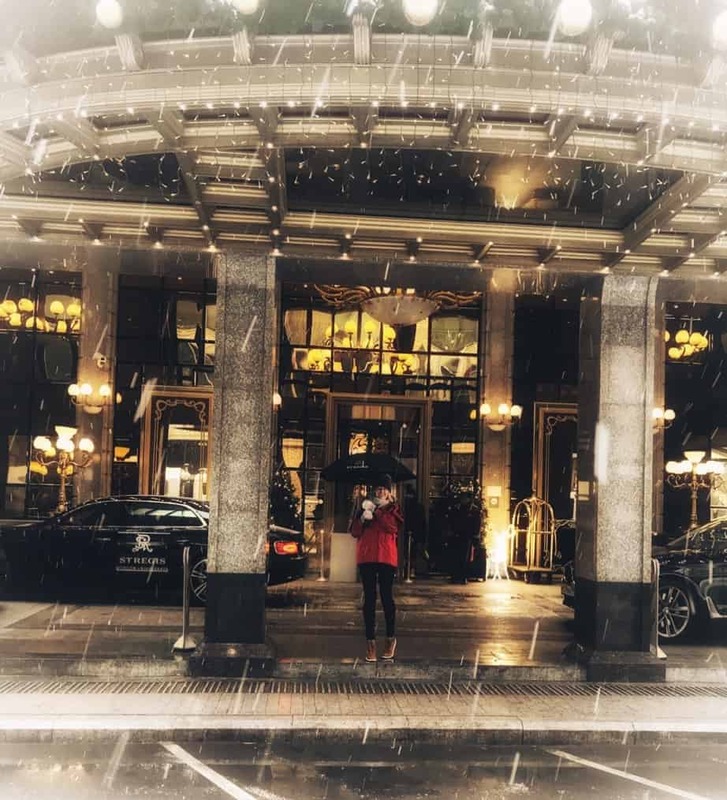 Nevertheless, it was quite cold and it was a pleasure to come back to the warm and snug St Regis Hotel and enjoy a delicious glass of Vodka! 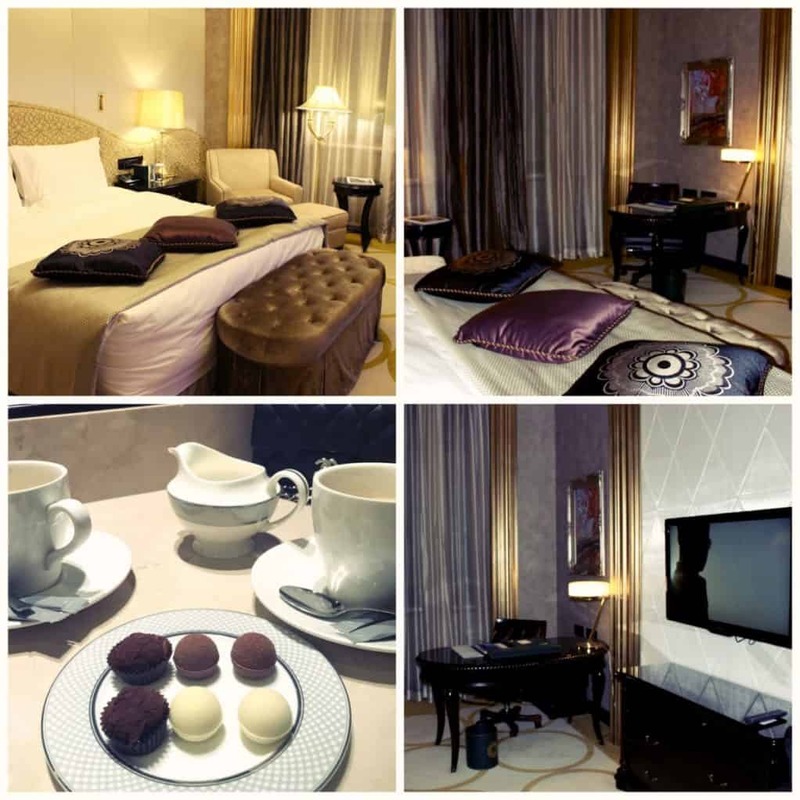 Or, call up the Butler service for complimentary Tea or Coffee to be served in our room. We stayed in Room 413, a lovely room with super comfy bed, a Diva essential as regular readers will know! The most important thing for me is a comfortable bed and beautiful bed linen. I Love having my suitcases unpacked by the Butler service too, they are available 24 hours a day to help out. The bathroom was luxurious too with a bath and shower with lots of lovely products. Also, a particular Diva favourite, huge wardrobes with plenty of coat hangers, Yay! Enjoy Breakfast served in the Osteria A Tavola. A delicious buffet with lots of traditional breakfast dishes. You could even choose Prosecco and Caviar if you wish! You can enjoy lunch and dinner in the restaurant too! Or, if you are a meat lover (I don’t eat meat) try Ruby Net Restaurant which serves exclusively meat. 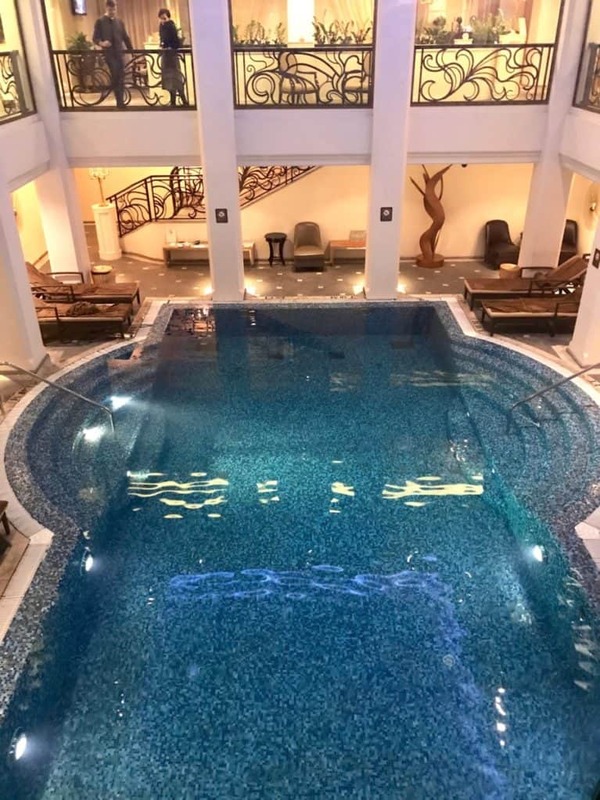 How about spending relaxing time in a beautiful Pool and Spa complete with Sauna and Hamman. Then indulge in a great selection of beauty treatments. Make sure you order a hotel limousine to collect you from the airport. We made the mistake of taking a taxi, which was very uncomfortable, the driver got hopelessly lost and it cost more that a Limousine! Don’t make that mistake and book in advance via the concierge. On the return journey, we booked the hotel limousine which was just lovely! I recommend a stay here, great location in the heart of Moscow, lovely hotel, helpful staff, comfortable rooms and wonderful Spa! Enjoy and tell me al about your visit. 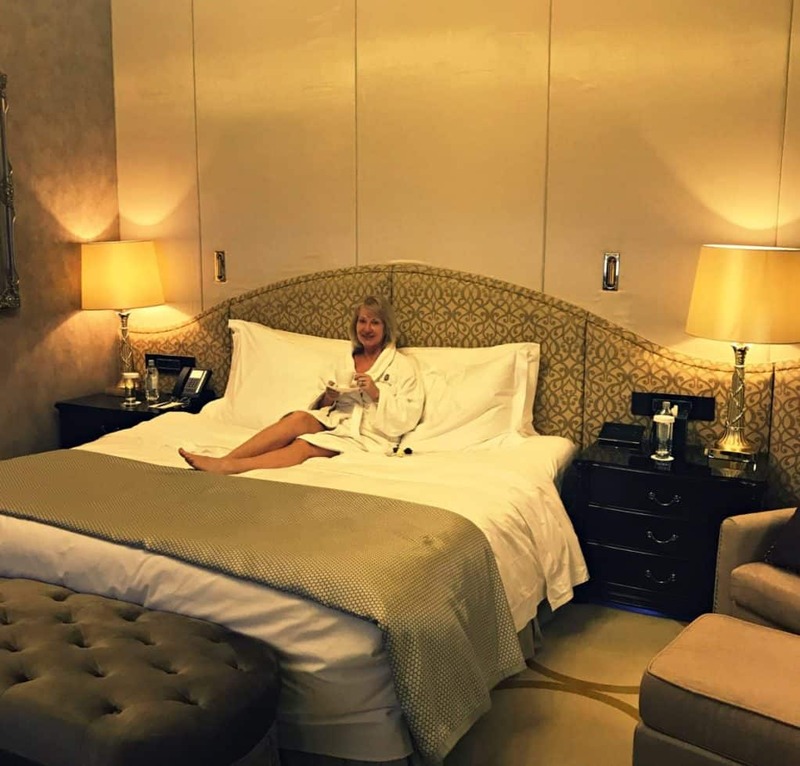 Previous Post So you want to be a Luxury Travel Blogger?